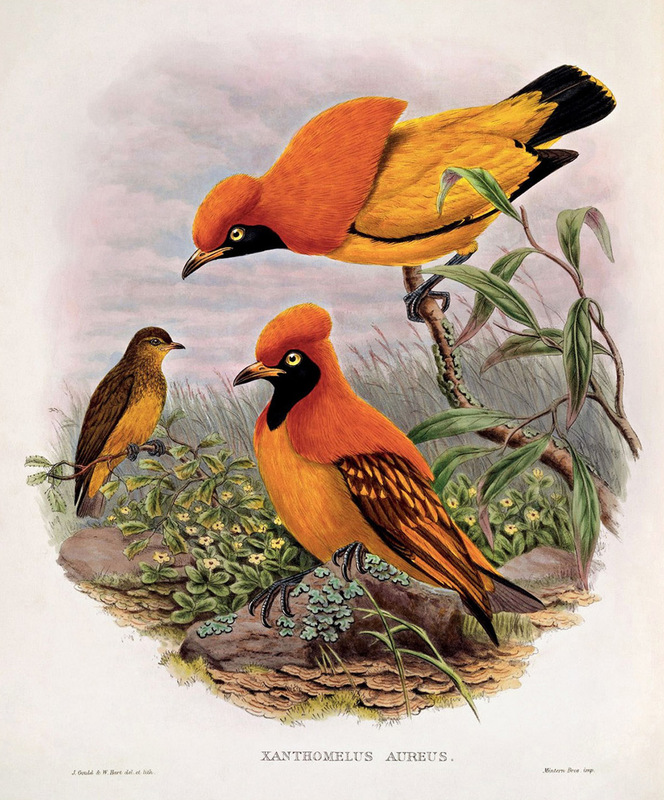 I got to go to Bird Kingdom in Niagara Falls yesterday, and I started searching for images of birds online after my visit. 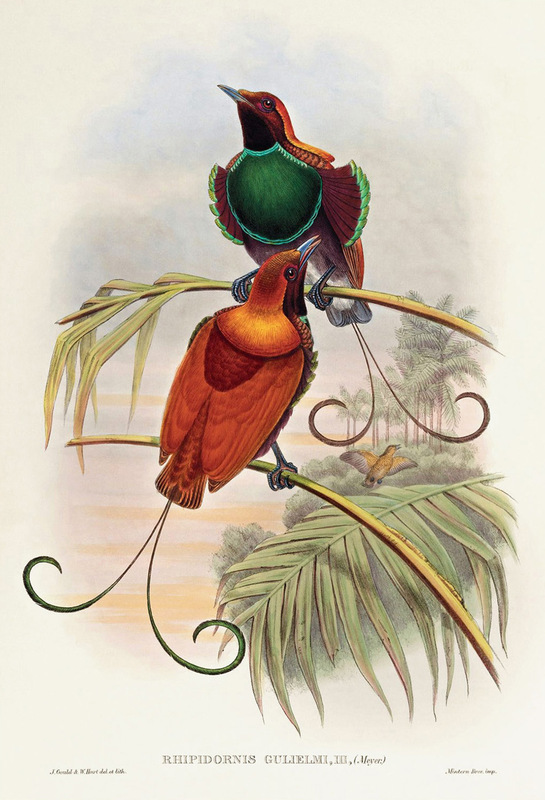 I found these images, they feature birds of paradise and were made by Richard Bowdler Sharpe at the end of the 18th century. 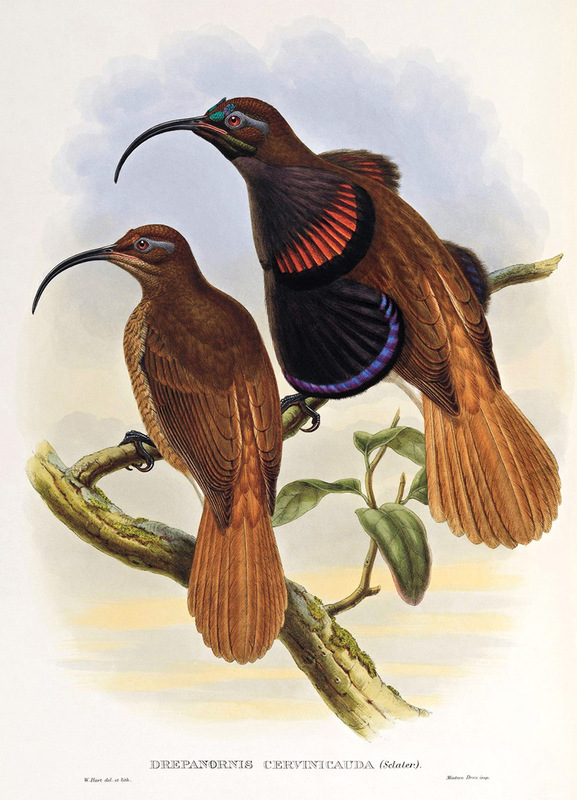 Gorgeous, gorgeous, gorgeous drawings and gorgeous birds. 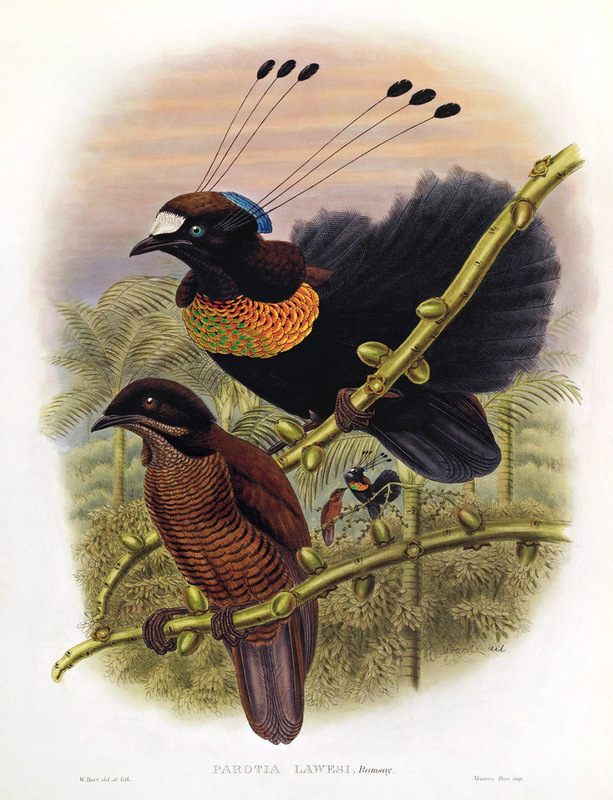 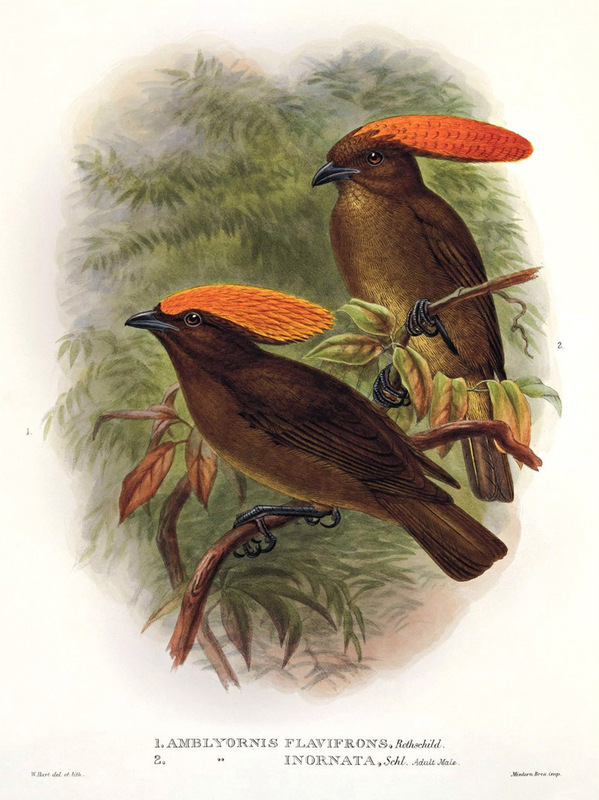 My boyfriend and I are currently watching Planet Earth – and some birds of paradise are featured such as the parotia lawesi. 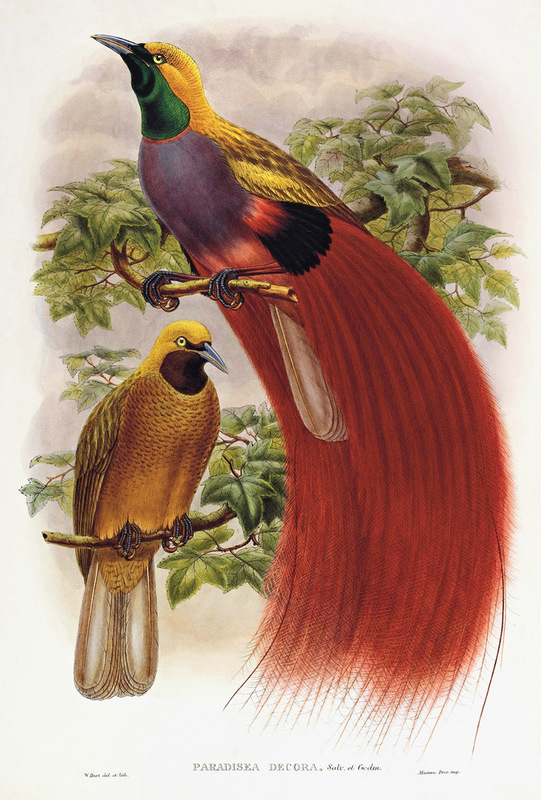 Those male birds sure are colorful and extravagant!